I'm Vietnamese. I am looking for some information about travel to Taiwan in this site. Currently, I have a question. 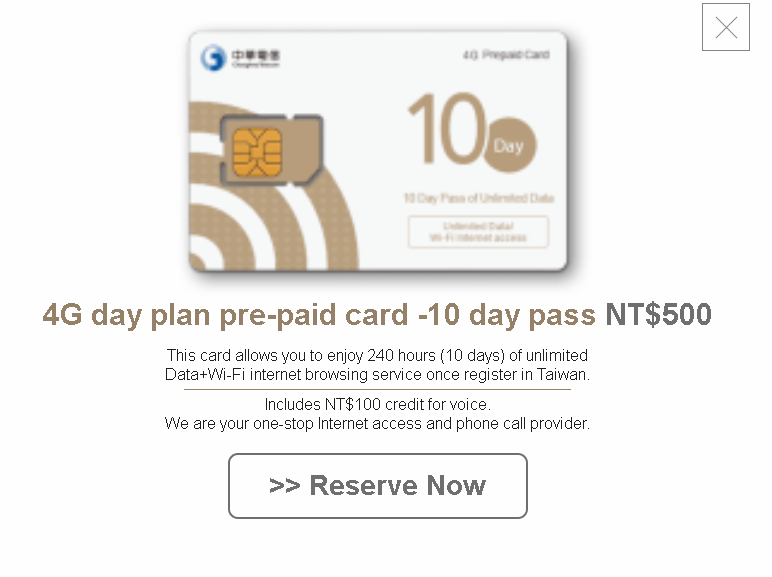 How can I get a SIM cardwhen I travel to Taiwan? I want to connect with my family and my boss during the vacation. 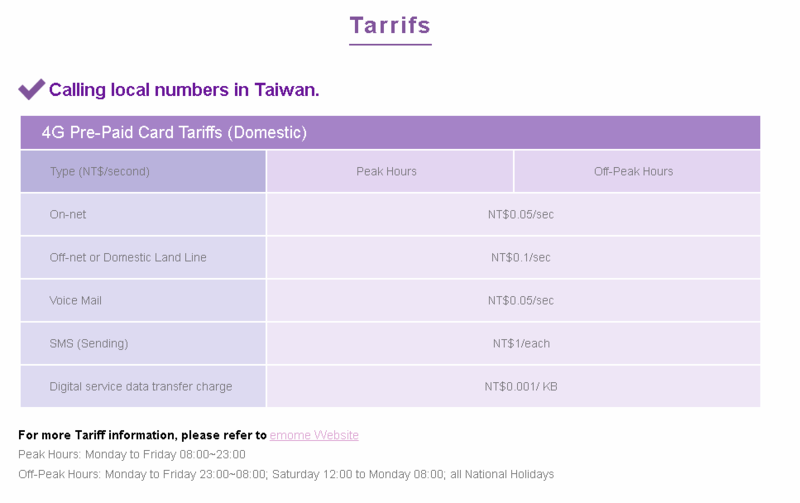 As you can see, data is cheaper than text messages / phone call, so you may want to use Line as most Taiwanese residents do. 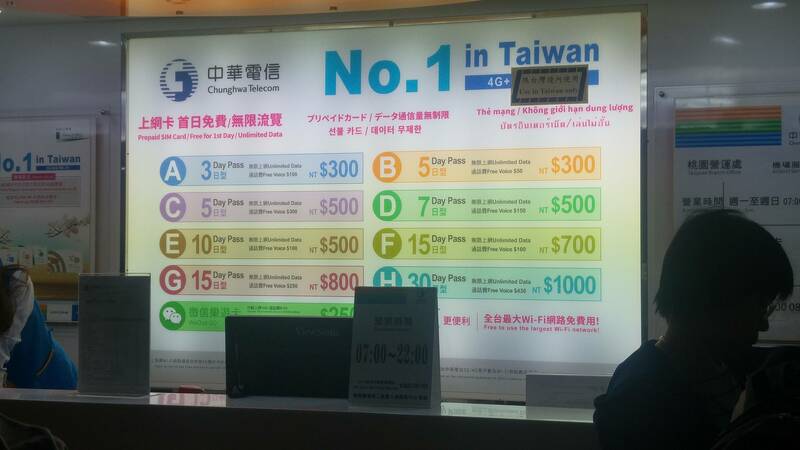 At Taipei airport, after leaving the secure area and picking your baggage, there are numerous vendors of SIM cards. 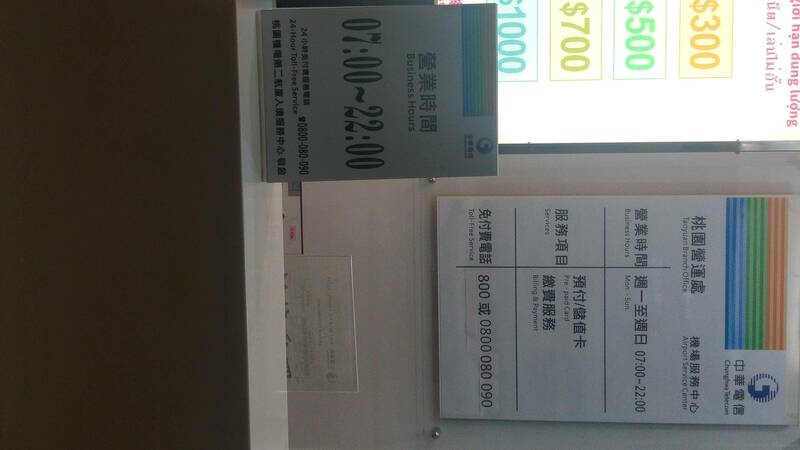 They offer different plans with 3G or 4G coverage and different packages, all advertised in large English signs. Most of them are at the edge of the terminal, turning left on exit from baggage claim and walking to the very end. By my calculation, pricing is very similar between them but it does depend on the mix of voice and data you are looking for. 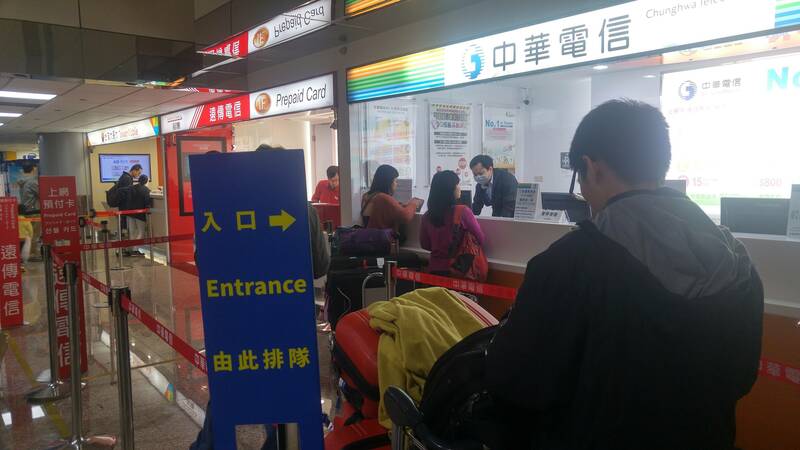 The main operators, Chunghwa, Taiwan Mobile, FarEastone, all have a desk selling SIM cards, all located together in the Arrival hall. Can't miss them. They have different plans, although they tend to offer usually the priciest ones by default. You can ask for different options. I've used mostly Chunghwa so far, but they seem to be similar. There can be quite long queues sometimes. While you're waiting in lines you can use one of the free Wifi networks. Not the answer you're looking for? 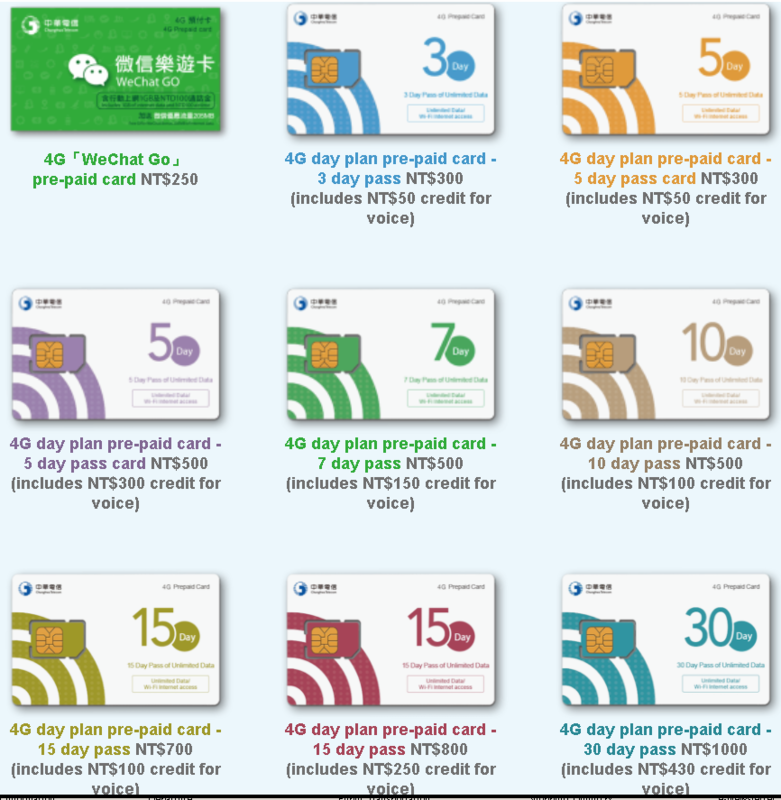 Browse other questions tagged cellphones taiwan or ask your own question.